**** Chosen by Winner: Kent B. Custom knife maker, Pete Truncali, has been creating his knives since 2003. 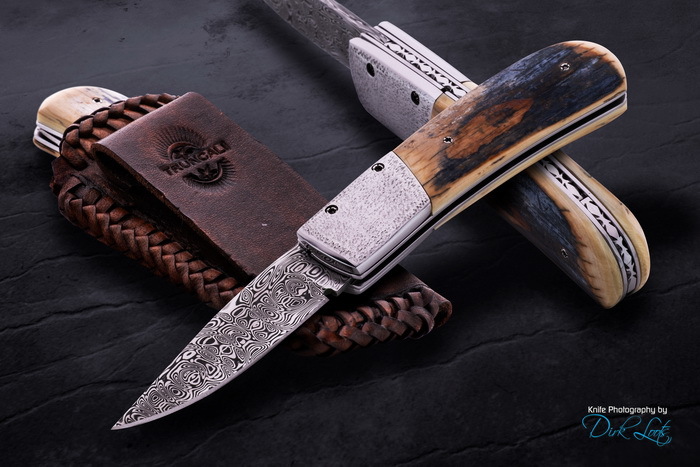 He enjoys making both folding and straight blade knives using a wide variety of speciality handle materials, including mammoth ivory, mammoth tooth, mother of pearl, armadillo and giraffe bone to just name a few. Pete’s blade are most often stainless ATS-34 steel but he also enjoys using both stainless and carbon Damascus steel. Lock backs, liner locks and automatic knifes are available on his website. Additionally, Pete supports hunters by crafting round tip skinners, as well as, other smaller straight blades that hold a fine edge while being practical and useful.